Today was the annual "Open Day" for the public at Revtangen BO. 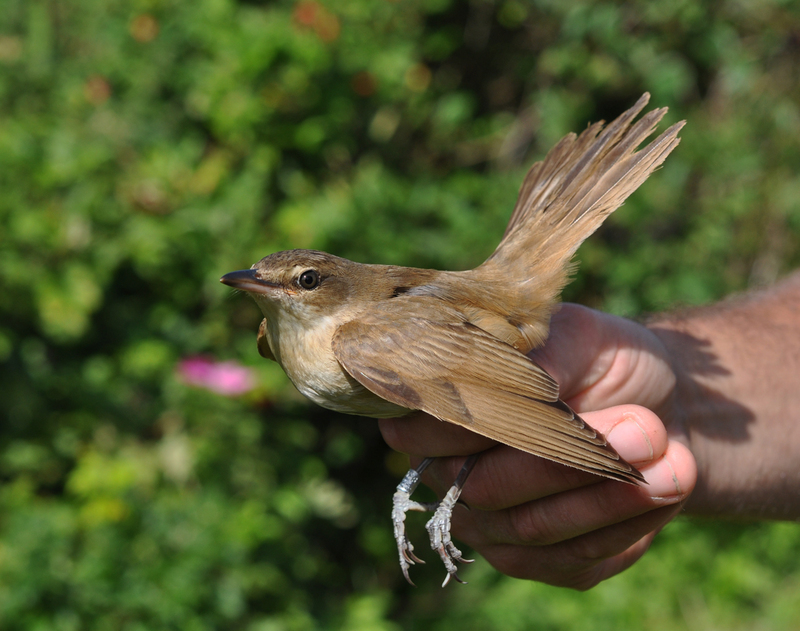 Around 185 persons paid a visit during the day, and they could enjoy ringing of passerines, waders and Common Gulls during the six hours between 09 and 15. Nets were open 08-16, netmeter hours approx. 2900. Walk-in traps were used at Revtangen between 09-15. 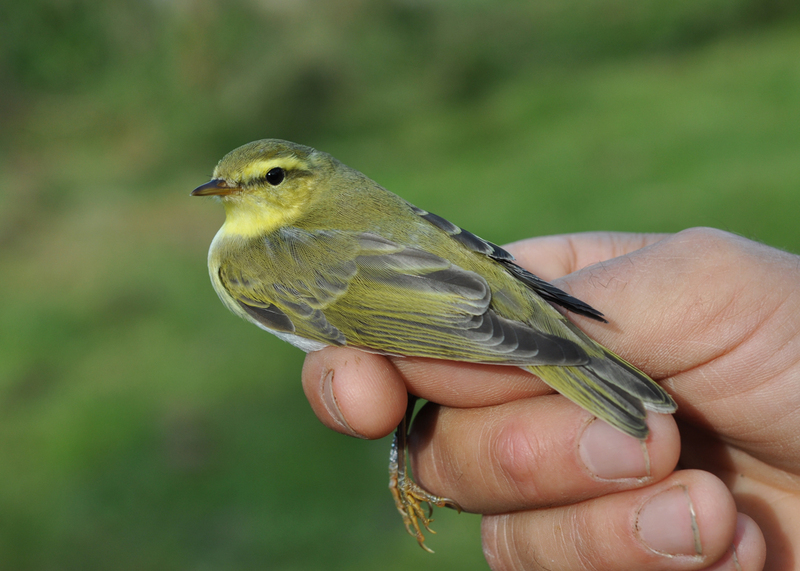 Wood Warbler, the "smartest looking" Phylloscopus. Bøksanger. Ringed: Common Ringed Plover 1, Red Knot 11, Dunlin 70, Bar-tailed Godwit 10, Common Redshank 2, Turnstone 2, Rock Pipit 2, Tree Pipit 11, Meadow Pipit 5, European Robin 1, Grasshopper Warbler 1, Sedge Warbler 1, Common Whitethroat 1, Blackcap 4, Garden Warbler 4, BARRED WARBLER 1, Willow Warbler 5, WOOD WARBLER 1 (first this season), Goldcrest 1 (first this autumn), House Sparrow 4, Tree Sparrow 3, Chaffinch 1, Greenfinch 10, Eurasian Siskin 6, Lesser Redpoll 2. Total = 170. 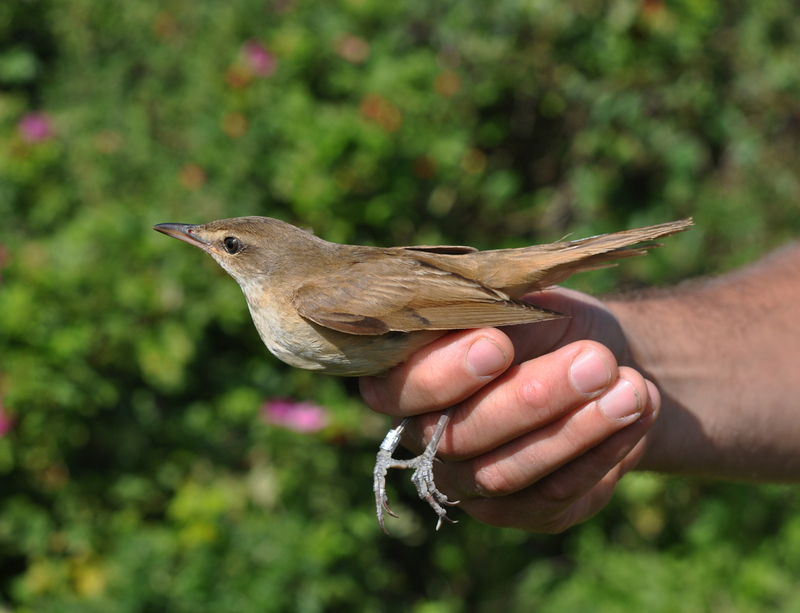 NOT FROM REVTANGEN BO, but still a nice one: In late afternoon this 2cy+ Great Reed Warbler was trapped at the nearby ringing site at Ergavatnet, and we were kindly treated to a short photo session before it was released back at the trapping site. Trostesanger 2K+.